Teroldego is a deeply colored red-wine grape grown in the Trentino wine region of northern Italy. There is just one DOC for varietal Teroldego wines in its native Italy, and the variety is hardly cultivated anywhere else in the world. Teroldego’s home is the area just north of Trento, on the flat land between the mountains called Piana Rotaliana. The variety produces deeply pigmented red wines with an intensely fruity characteristic, a style that has become something of an icon for Trentino’s wine industry. 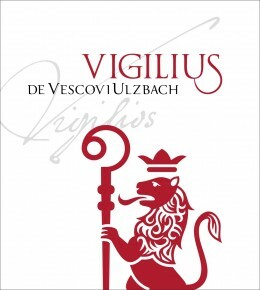 Vigilius is dedicated to Vigilio de Vescovi, the family ancestor who, in the mid 17th Century descended into the Piana Rotaliana (Mezzocorona) from Val di Sole following the natural course of the Noce River (originally named ‘Ulzbach‘). The river, with its fascinating geological history, is solely responsible fro providing the Piana Rotaliana with optimal conditions for the cultivation of Teroldego. Teroldego Vigilius is made with a careful selection from two top vineyard sites, one planted with 70-year-old pergola and the other with guyot-trained 20-year-old vines (grafted with massal selections from the old pergolas). Fermented whole-berry in conical open-top oak vats with manual plunge-down and delestages and aged 12 to 18 months in barrique and French oak tonneaux. The resulting wine manages to reconcile Teroldego’s natural tannic weave with a stylish backbone. A well-spiced palate showing flavors of mulberry, black currant, wild herb, loamy earth, violet and minerals. A robust wine that will pair well with red meats, roasts, mushrooms and aged cheeses. Manual harvest in small crates takes place at the end of September. Fermentation is partly natural (without added yeats) and partly induced. Fermentation takes place in conical, open-top 20-hl oak vats at a temperature ranging between 82 and 90F. Whole-berry maceration lasts 10-12 days with plunge-downs and delestages. Malolactic occurs naturally and is carried out in small barrels. Aged for 12 in barrique (225lt) and 6 months in tonneaux (500lt, French oak). 8-10 months in bottle.